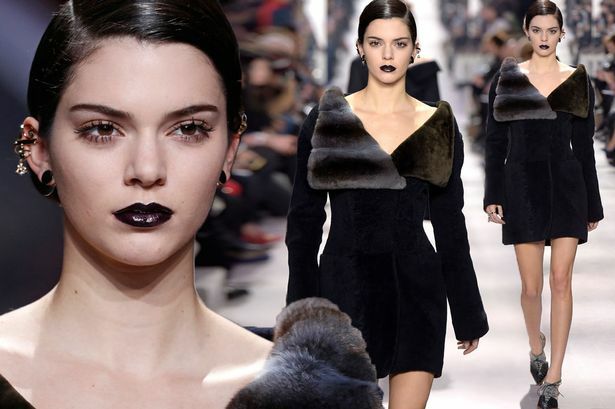 Kendall Jenner is undergoing quite the transformation during Paris Fashion Week – and the star went all out Gothic for Channel, and strutted her best stuff for Elie Saab and Christian Dior. The reality star hit the catwalk keeping that moody expression in place, as she showed off her legs in a short black coat and other top fashions. Wearing dramatic black lippy and scraping her hair back, the star stood out once again in heeled lace-ups for the fashion giants. She was joined once again in the city of love by her BFF Gigi Hadid – after they celebrated just hours before on a night out.